on sale Tuesday, April 9, 2019 at 10AM EST in the MFT Store! "free with $60" Die-namics--Tree Branch. the tree branch, then adhered to the back of the window frame. 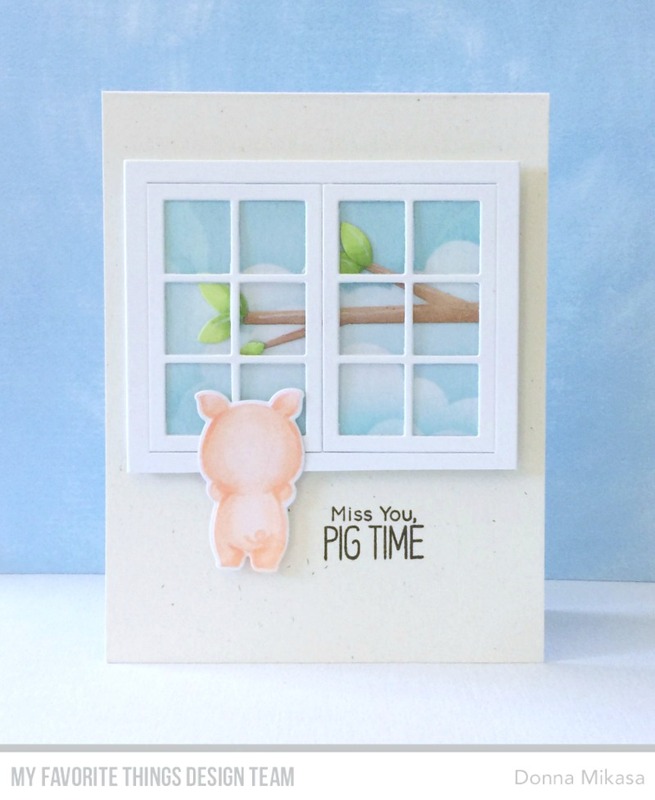 a pig gazing out the window and finished off the card with the sentiment. comment there for a chance to win a $75 prize. Thanks for stopping by today! The little piggy looking out the window is just adoooorable, Donna! Love the acetate glass window and the Primitive Cream card base! This little pig looking out the window reminds me of my little dog that does this whenever I leave the house without him. So heartwarming! Awesome release! Awesome creation! 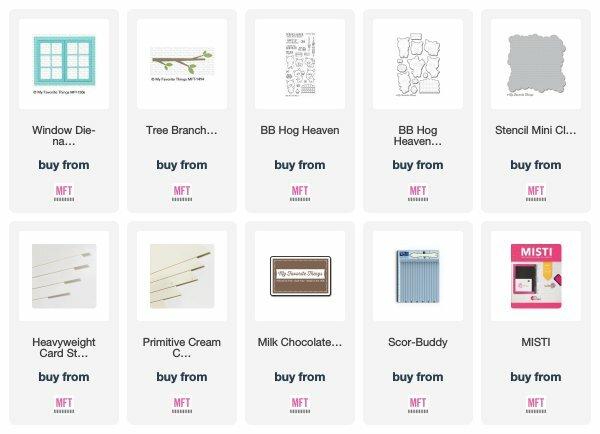 I love your cute pig card! Love your scene, it is adorable!